Dane County is a county in the state of Wisconsin. Based on the 2010 census, the population was 488,073. making it the second-most populous county in Wisconsin. 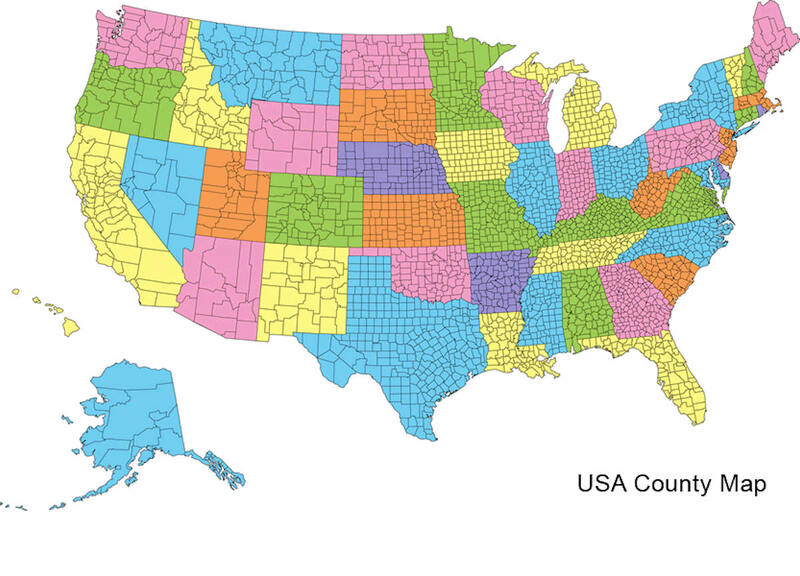 The 2014 estimate places the county's population at 516,284. The county seat is Madison, which is also the state capital. 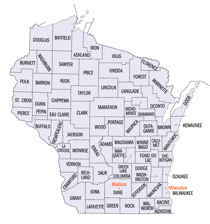 Dane County is part of the Madison, WI Metropolitan Statistical Area as well as the Madison-Janesville-Beloit, WI Combined Statistical Area. James Duane Doty named the county Dane, in honor of Nathan Dane. The village is named for the county. "DANE, County, is bounded on the northwest by the Wisconsin river, by which it is separated from Sauk; on the north by Columbia, on the east by Dodge and Jefferson, south by Rock and Green, and west by Iowa. It was established for judicial purposes December 7, 1836, and fully organized March 11, 1839. 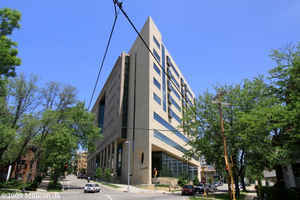 The seat of justice is at Madison, near the geographical centre of the county, and the Court House is the best in the State. Dane county contains about 1,250 square miles, mostly of good tillable land, and a fertile soil, well apportioned between woodland, openings and prairie, and is well adapted to grazing, and the raising of grain, roots and fruit. There is, in the county, considerable non-resident land which can be bought on reasonable terms. One of the most attractive features of the county is its beautiful lakes of clear, pure cold water, originating in deep springs. The Catfish river forms the outlet of these lakes, and passes from the northwest to the southeast completely through the chain known as the Four Lakes. The county is watered by the Catfish and Sugar rivers, and Black Earth, Badfish, Token, Waterloo and Koskonong creeks. The population in 1836 was Ebenezer Brigham; 1838, 172; 1840, 314; 1842, 8,289; 1847, 10,935; 1850, 16,654. Farms, 1,511; manufactories, 87; dwellings, 3,510." Population 37,500; in 1850 16,639; increase 20,861. This is the largest County of Southern Wisconsin, and lies midway between Lake Michigan and the Mississippi River. It is considered one of the best agricultural Counties in the State. The Wisconsin River forms its north-western boundary for a short distance. It is watered by Koshkonong, Sugar, and numerous other small streams, nearly all affording good water power. The best is obtained by damming the outlet of Mendota (4th) Lake, which is occupied by one of the best mills of the State. The County is rolling prairie and oak openings. Prairie abounding in the western part. Madison, the County Seat, is also the Capital of the State, and contains all those different buildings and institutions usually gathering round the Capitol. The best stone quarry in the State, near Madison, gives a beautiful material for building, which has been extensively used in the public and private edifices. The State House one of the first buildings erected with this material, does not present that beautiful appearance of those more recently erected. The State University, for which Congress has made large donations of lands, is located on the shore of Mendota (4th) Lake. Two of the buildings are already finished and occupied, and the University is in successful operation. The State Lunatic Asylum is also located on the shore of the Lake. It has a large tract of land connected with it, and it is contemplated to erect a large and commodious building. A new and elegant building for a water cure establishment has just been completed and opened on a height of ground on Lake Monona, overlooking the Lake and City, which bids fair to add another to the numerous attraction of this place. Madison itself, the only place of note in the County, is one of those examples of rapid and continual growth not always found, even in a rapidly increasing State. It is one of the most beautifully located places in the State, between two lakes, from 50 to 75 feet above their level. The first inhabitant settled there in 1837. Besides the Public Edifices alluded to above, it has a Female Seminary--good select and common schools--six churches;and what, we regret to add, is not found in every place in Wisconsin, a good hotel. The present terminus of the Milwaukee and Mississippi RailRoad is at Madison. Stoughton is the only other depot in the Country. The Rail Road from Beloit will soon be finished to this point. The Milwaukee and Mississippi River in 1856. For the business of Madison see under the head of Commercial Statistics. As reported by the Census Bureau, the county has a total area of 1,238 square miles (3,207 km2), of which, 1,202 square miles (3,113 km2) of it is land and 36 square miles (94 km2) of it (2.94%) is water.